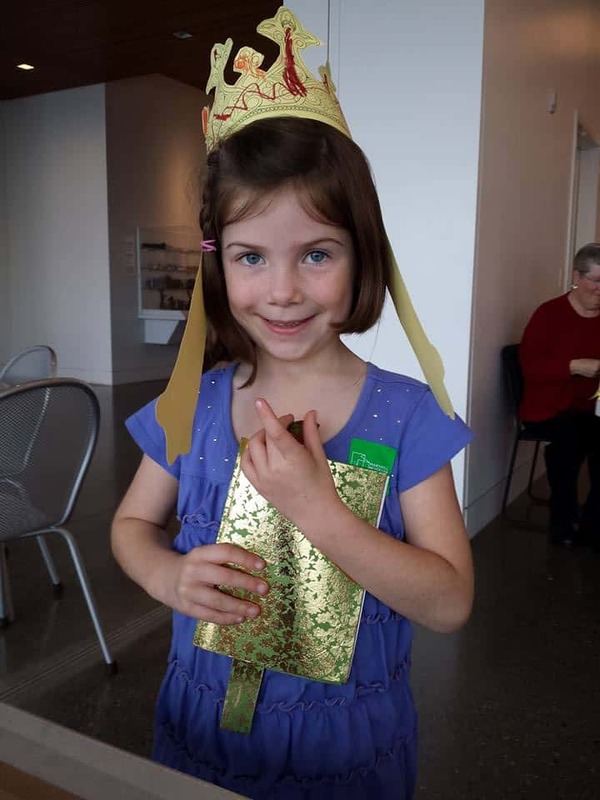 Family groups of all ages will find Maryhill engaging and fun! Visit and enjoy the galleries in a new way using our DISCOVER activity cards and family areas, or venture outdoors to enjoy the William and Catherine Dickson Sculpture Park and amazing views. We are excited to unveil Maryhill’s new DISCOVER room and activities. This special place allows you to become a curator, an artist, an explorer, and fashion expert, all while having a great time at the museum. You can plan the day by looking at examples from the collection and their location within the museum. Then pick up a map and a carrier containing DISCOVER activities and head out to explore the collections that most interest you. 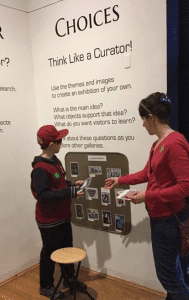 In the DISCOVER room you will also find activities to help explore the galleries in new ways: think like a curator and use magnetic images from our collection to identify a theme and create an exhibition of your own, or think about how artists create and why their creations make it to the museum’s wall! Maryhill Museum of Art is a wonderful place for exploration, inside and out. 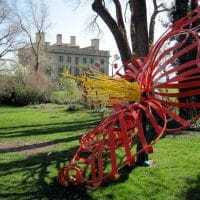 Make it a great day by exploring the museum grounds, including the William and Catherine Dickson Sculpture Park, the views of Mt. Hood and the Columbia River Gorge. You can learn more about some early explorers to our area in the The Lewis and Clark Overlook and its native plant garden, which sits where the museum’s lush gardens give way to sagebrush ranchlands. Travel a few miles east of the museum to see Sam Hill’s full-scale replica of England’s Stonehenge! Don’t forget to bring a camera, picnic and a soccer ball. Maryhill is a place for family fun! Mark your calendar and join us for memories in the making! See our calendar to explore all of our educational programs.